Time Management Tuesday: Will Extensive Planning Speed Up Writing? First off, I'd like to report that I have a family member who made the 50,000 word point with his NaNoWriMo project this past weekend. He figures he needs to write 30 percent more to finish the story, because, guess what? Fifty-thousand words isn't necessarily a complete story. But he hit his word goal with days to spare. Now, I didn't have a word goal, you will recall. I was working with material from my 2004 NaNoWri Mo attempt. What I was "hoping to have by the end of November is not a completed draft, but the prep work so that I can write a draft in the future." And, no, I'm not quite there. But I do have a lot more on this project than I had on November 1. No Excuses. Instead Here's How I Used My Time. Some time management writers claim that a "Done List" is as important, or more so, than a "To Do List." So what did I actually get done this month? Waded through twelve years of notes I'd made and clippings I'd been saving relating to this story. I thought I had them organized and would be able to discard most, but something happened last week that leaves me uncertain and now I'm clinging to them a little longer. Finished rereading Sunshine Sketches of a Little Town by Stephen Leacock, which I'd been thinking of in relation to a writing project for years, years I tell you, and in relation to this project for a while. I was disappointed, decided I couldn't use it after all, and then swung back and thought maybe I could. Came up with stronger characterizations for Lori and Margo, my two main characters, and a reason for their relationship. As a result of all the wading through that paperwork, I stumbled upon something that led to a crisis to drop in Lori and Margo's laps. Came up with a narrative voice related to Sunshine Sketches (see above). I have an ending for this story, something I don't think I've ever had for a writing project at this point. I have a theme for this story, something I know I've never had for a writing project at this point. December is a ridiculous time to get much done, particularly for people who don't have a job that involves a structured schedule with a supervisor to report to. Personal lives gush right into professional lives. So I'm going to use whatever writing time I have over the next month to continue tinkering with this project, with a goal of finishing some kind of an outline by New Year's Eve. Like an ending, an outline is something I've never had before starting writing. And that, lads and lasses, I'm hoping will make a difference in the time it takes me to write my first draft. Finish the initial planning of chapters. I'm thinking there could be as many as twenty-one. Or, you know, not. Use the blueprinting plan to develop those chapters. Plan the changes that need to occur for each chapter. Plan scenes within chapters, particularly their relation to action, character, or theme. If this goes on until the end of December, I'll have worked a couple of months on the planning for this project. (Though, not really, since holidays, family issues, and a new obsession with following pre- and post-election coverage have been very distracting so far. Oops. Those are excuses.) Will this have an impact on my time when I'm actually ready to write? We have a big event halfway through next month that has nothing to do with Christmas. In case you're sick of the holiday by the 16th. 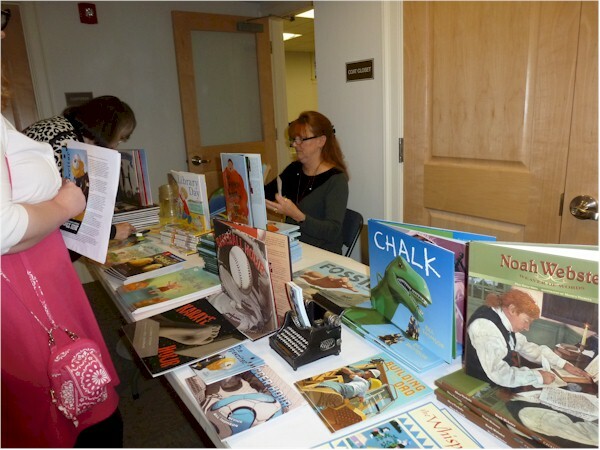 Thurs., Dec. 8, Martha Seif Simpson, Barnes & Noble, Milford 6:00 PM Literacy Volunteers of Southern Connecticut event. What Did You Do This Week, Gail. Nov. 21 Edition. I baked a cookie pie, a rosemary pear crumble pie, a gluton free pear crisp, up-and-down biscuits, Reese Cup sandwich cookies, and around three dozen wholewheat rolls. Two blog posts and some plotting on the NaNoWriMo project. Also, I had two spectacular ideas for that story. Both of them while I was riding in the car, as it turns out. And today I got some character work done, including beginning voice work. Things could have been a whole lot worse. 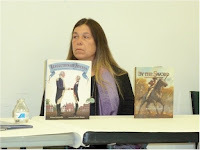 The First Nations Development Institute partnered with Debbie Reese, Ph.D. (Nambé Pueblo), who researches the ways in which Native Americans are represented in children's books, to create the Native American Children’s Literature Recommended Reading List – with the goal of encouraging a “national read” of five books under the #NativeReads hashtag. This is a part of observing Native American Heritage Month 2016, which is November. Yes, we're more than halfway through November. I apologize for being late with this. If it's too late for you to take part, you can still take a look at the reading list for titles you could read at any time. I've just created a #NativeReads Tweetdeck column, so I can see what people are reading for this initiative. Last spring while at the NESCBWI Conference I attended a workshop called Blueprinting Your Novel or Short Story with keynote Wendy Mass. 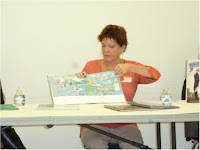 This workshop described a way of coming up with chapter ideas and then developing them. It involved generating material with who, what, when, where, why questions in a very structured way and getting this material together before you start writing. Once again, know as much about your story as possible before you start writing, because that's how you write fast. Writing fast is a great way of getting the most out of your time during National Novel Writing Month. The Hero's Story, which, personally, I find mind-numbingly elaborate. Seriously, my eyes are glazing over as I type this. Plus I wonder if it is more of a way of creating a formula than creating a story. "Give your character something to want, then don't let him/her have it." Or "Give your character a problem, then put up obstacles to him/her solving it." This definitely seems more of a formula to me than a way of generating a story. Also, whenever I hear this advice, I think, Ah...want what? And what problem? Where is that supposed to come from? The "blueprinting" Wendy described last spring sounds as if it involves using ideas you already have to create a plot and then a whole story. You have the opportunity to create something unique that doesn't follow a pattern. And after I've tried it with the project I'm developing this month, I'll let you know if it does what I think it will. The blueprint Wendy describes in her workshop, which is very well done, was developed from a book called How to Write a Book on Anything in Two Weeks or Less! by Allen Deever and Ellie Deever. The book appears to have been published originally in 1993, and is now only available in an e-book edition. 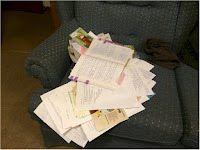 A search for the authors turns up more how-to writing manuals and some freelance-type articles, also from around 1993. It's not much of an exaggeration to describe How to Write a Book and its authors as obscure. I read the e-book edition, which probably wasn't the best format. The book has a lot of directions to move ahead to this chapter or that, which I find awkward with an e-book. Additionally, stylistically the writing has what I'm going to call a Trumpian tone. 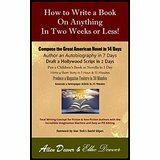 "Prolific author-in-the-making, be advised that you are about to break new ground in the field of writing." "What's contained in this book is completely new technology and new philosophies concerning the production of great stories in the shortest time possible, which is a technology that has never been been available to potential writers." "Consider this book to be your own personal story consultant. It does everything you would ever want a consultant to do and at a fraction of the cost." There's pages and pages of this stuff. The authors go on at some length about the positive things their book, the one you are reading, will do for you. They don't actually say, "It's going to be great," but there's definitely that kind of vibe. Additionally, there are some elaborate and nitpicky sections I skipped. But then there's this material that I haven't seen before, that no one, except for Wendy Mass, is talking about. It's as if these people may have been on to something somewhere in that book, and then it got lost. What if they had created a fantastic writing program but couldn't convey it to others? And their book went out of print? And everybody embraced the Hero's Journey? We're talking Twilight Zone territory here. In a few months (Not two weeks as the book's title promises, because I don't do anything in two weeks), I'll come back to this subject, once I've tried using the system myself. No matter how it turns out for me, if you see that Wendy is running this workshop at a writers' conference, attending would be a good use of time. 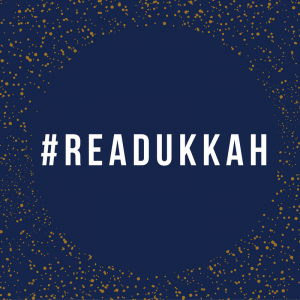 The Association of Jewish Libraries and the Jewish Book Council are sponsoring the second annual reading challenge for readers of all ages, #Readukkah, from Dec. 1 through Dec. 8. There are a number of ways to share your reading. 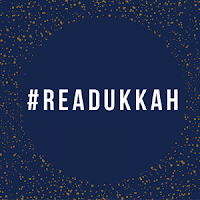 "By sharing your #Readukkah reviews, your participation in this reading challenge helps spread the word about worthwhile titles, bringing them to the attention of more readers and supporting the publication of Jewish books!" In May the Cybils site ran List Fun: Cybils Books of Jewish Interest. YA books featuring Jewish characters is an older piecefrom another site. 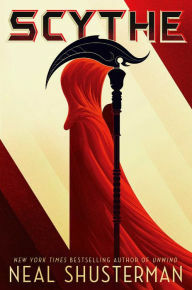 I'm going to read an adult book, The Muralist, by B.A. Shapiro and following #Readukkah next month. Goal 1. Adhere to Goals and Objectives. Election carrying on is carrying on. Seriously, I am wasting time every morning checking news sites before I get out of bed to see what's been happening. I've been e-mailing family members and on the phone related to a crisis in another state. And next week we have an out-of-state guest in the area and a major holiday. But I did adhere to a couple of goals these last few days. Denim post, even though it was Nov. 13. Because I particularly liked it. Goodreads blog post on denim. Because I like it that much. Rated a few books at Goodreads that I haven't covered here yet. Goal 6. Generate New Work. NaNoWriMo. Still going through those clippings and notes I've collected over 12 years. Have some plot ideas as well as an ending, which is totally different for me. Last week I described the major mistake I made before beginning National Novel Writing Month in 2004. "I did not know what I was going to write before I got started." More specifically, I did not know my story. Pause here for a definition of story. 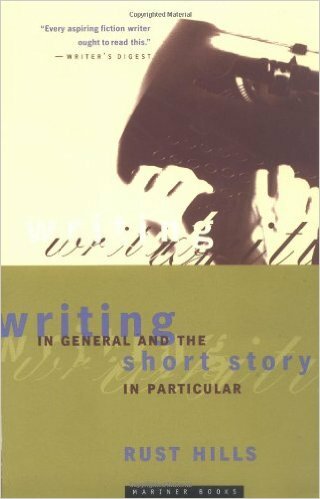 I use Rust Hill's definition of a short story in Writing in General and the Short Story in Particular as my understanding of story, itself. "Something happens to somebody." In 2004, I didn't know what was going to happen or even to whom it was going to happen. ( I was dealing with two characters.) Thus I didn't know what I was going to write about on November 1. This, by the way, is why I'm not making a traditional NaNoWriMo effort this month. I didn't have time leading in to do the prep work that would have led me to coming up with something happening to somebody and knowing what I was going to write about. Back in 2013, I did a series of posts for The Weekend Writer feature of this blog on finding your story, so I'm going to direct you to many of those. But, in brief, spending time developing the elements of your story can help you create the whole thing. Know your story, know what you're going to write. This is particularly helpful for organic writers (pantsers) who have trouble isolating plot and working on it by itself. We need to work with the story as a whole organism. Setting. Consider your setting, which involves both place and time. Why is this helpful? Because certain things can happen in some places and times and not in others. That NaNoWriMo work of mine from 2004 has no setting whatsoever. I didn't use it at all. Voice. How your character(s) sound can help define their attitudes and personalities, and that will help determine how they will respond to what happens to them and what they may do. Character. Focusing on a character can be helpful in coming up with a story for obvious reasons. Something happens to somebody, right? Who this person is will help determine what s/he can/will do. I am not a big fan of giving a main character something to want. I prefer giving them a goal, something to do. 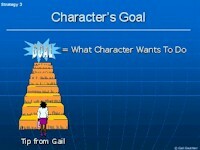 Then you can create objectives for that goal, the things the character must do to reach it. Those objectives can become plot points and scenes. Theme. Many writers say they aren't aware of their themes until they've finished a work. However, if you know it, it can be helpful in creating the story itself. Not sure what to do with a particular scene? Think about how you can make it support your theme. Yes, I talk about all this at schools. 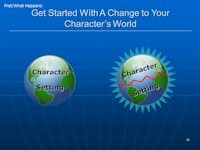 Disturbance to Your Character's World. Remember, a story is about something that happens to somebody. We're not just talking a climactic moment here, the last battle scene, the declaration of love, the capture of the bad guy. Something happens to get the character involved in your story, to get him/her started down the road. The aliens land. Mr. Darcy moves to town. A body is found. In children's books, it's often the beginning of the school year, the end of the school year, the start of a trip, a new kid on the street, a parental death or remarriage. It's a jolt to the character's world at the beginning of the story and every thing is pretty much a response to that. Now You Can Start Thinking Plot. I always say work on an actual plot last, after you've thought about all these other things. All the other things can be very helpful in creating the plot, the series of events that make up the story. Doing all the above work before starting to write, will mean you know a lot about your story. That's going to make writing easier and faster, whether you're doing National Novel Writing Month or just writing any time of the year. Earlier this year I took a workshop that suggested some new-to-me pre-writing work. Next week I'll touch on that. I can't claim to be at all knowledgeable about poet e.e. cummings, though I've certainly heard of him. 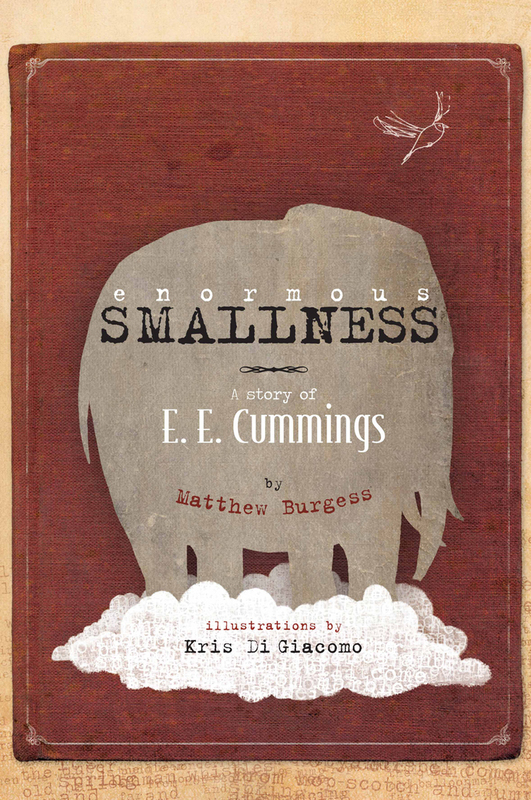 I didn't have to know much about him to find Enormous Smallness: A Story of E.E. Cummings by Matthew Burgess fascinating. The book spends a lot of time on Cummings' youth (He sounds like the rare artist/bio subject who had a happy childhood. ), a great idea for a children's book. Then it makes a smooth transition to his adult life. The book makes an interesting connection between Cummings and artists working in other artistic fields, such as Gertrude Stein, Paul Cezanne, and Igor Stravinsky. They "were challenging the way we think and see. In all of the arts, people were in pursuit of the new and Estlin wanted to make his mark, too." Last month, The Millions carried an essay related to Impressionism's influence on Virginia Woolf's To The Lighthouse. The idea that all sorts of artists in a particular period are connected is new to me. This is a beautiful looking book, too. isn't supposed to have trucks...front loaders...bulldozers...on his farm. He's supposed to have animals. Incongruity. That's funny. In fact, yesterday I read this book to a four-year-old who said, "That's crazy" when he heard the title. One of the many neat things about this book is all the face time Ms. MacDonald the farm wife gets. Personally, I don't get children's fascination with heavy equipment. However, I heard someone on NPR suggest a few weeks ago that it has something to do with powerless children associating themselves with the powerful equipment. No idea how accurate that is. I think this book is a example of what Pegi Deitz Shea was talking about at the Publishing Children's Books panel discussion earlier this month. 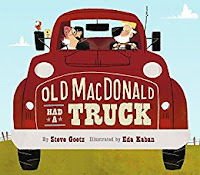 Old MacDonald stories are concept books in that they teach children about farm animal sounds. Pegi said that if writers can "provide a twist to a concept," they have a totally new book. 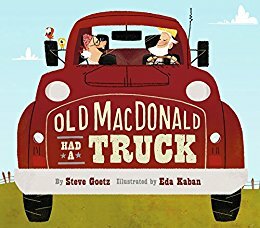 Old MacDonald Had a Truck is a definite twist. Yeah, I cooked yesterday. For hours. But what else is new, right? Well, actually, today I got started...barely...on a sewing project I have to do for Christmas. We won't go into what that's about. What's important here is that this project involves denim. 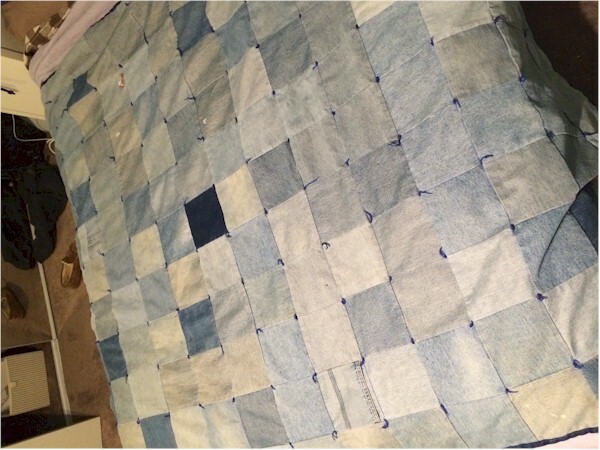 Back in the early years of this century, I made a denim quilt. Why? Because I am part of a denim-loving generation; also a member of that generation that spent its youth making things out of other things so those other things wouldn't fill up landfills. Denim keeps happening. I've been collecting denim since the day I finished that quilt. I have a family member who gives me his cast off blue jeans. I have denim. So when I had to come up with a homemade Christmas gift, of course I thought of denim. What I needed for today's project was long strips of denim. So I was working on cutting up some pairs of pants I had not yet done anything with when I thought, Why don't you look at the denim you've already prepared? Maybe you have some denim pant legs that have been cut from pants but haven't yet been cut into squares. That would cut down on the amount of work you have to do. Surely everyone has a denim bag. Right? You know how you used to hear about scrap bags? Oh, come on. Bags of scrap material belonging to women who sew? Well, I have a denim bag. There's rather a lot of denim in it. And, sure enough, I have a lot of pant legs in there that I could use for today's project. Today's experience was very similar to starting a new writing project and then remembering that you'd tried something similar sometime in the past. So you go looking through your filing cabinet or your hard drive (depending on how far back the original writing goes) and, sure enough, you find something you can use. And you start pulling everything together and something from the past gets started again. Goal 1. Adhere to Goals and Objectives. Well, what a week, huh? All that election carrying on, and then family health problems. Thank goodness I'm not trying to crank out 50,000 words this month. Goal 2. Prepare Mummy Hunters for Submission. Submitted this to an editor. 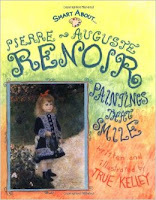 Promoted Renoir post to Google+, Google+ group, Facebook group, Twitter, and Goodreads. Promoted Bandit's Tale to Facebook community, Google+, Twitter, and Goodreads. Added post to my historical fiction Pinterest board. Goal 6. Generate New Work. NaNoWriMo. I'm going through clippings and notes I've collected over 12 years, using them to help do character, plot work, etc. I've come up with an idea for a totally new book, also. As I'm sure I've said here before, conventional wisdom holds that world building relates to science fiction and fantasy. But every story involves a world that must be created for it. Historical fiction, in particular, can require as much world building as any work of scifi or fantasy. 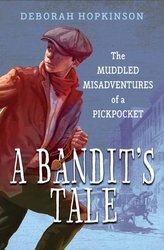 A Bandit's Tale: The Muddled Misadventures of a Pickpocket by Deborah Hopkinson is an excellent example. The world here is 1880s New York City, complete with historical figures, establishments, and events. After being accused of theft (where the bandit comes from in the title) in his Italian village, eleven-year-old Rocco Zaccaro's parents make a deal with a padrone (boss/patron). The man will bring Rocco to the United States as a sort of indentured servant. What will Rocco do for him? Rocco doesn't find out until he arrives in New York City. He's going to become one of the padrone's stable of child street musicians, who are essentially beggars expected to collect a minimum amount of money each day while living in squalid conditions. Rocco moves from one situation to another, running into historical figures and places. For an a reader with a little historical knowledge, guessing what was real is part of the pleasure of this type of book. The problems of today's immigrants to the U.S. kept coming to mind while I was reading this. What's the connection? Immigrants have always had a hard time here. I'm not sure if there's something comforting about that because so many groups suffered and then moved on or profoundly disturbing because so little changes. Another interesting point: This book deals with America's nonAnglo-Saxon, Protestant experience. The author adds terrific end material, explaining all the historical elements she worked into the story. U.S. Visitors: Once you've taken care of voting, it's time to get back to National Novel Writing Month. Visitors From Other Countries: No, I have no explanation for what's been going on here. Visitors From Everywhere: Even if you're not actually taking part in NaNoWriMo this year, there are things we can learn about managing time during National Novel Writing Month that we can use all year long. Last week I explained that I'm not doing National Novel Writing Month in the traditional sense. Instead, I'm doing the prep work I should have done earlier in order to really do NaNoWriMo. Now, I'm sure I have readers (one in particular) who are thinking, Prep, prep, prep. Why don't you just sit down and write? Because prepping is how you write faster with a better quality result. What can happen with no prep? you ask. Read on. The first thing I did last week for my NaNoWriMo event was read over the work I did for NaNoWriMo 2004. I think I may have done some revision on it sometime in the past twelve years, and I've certainly thought about various things I could do with it. That thinking and all the time that's passed meant that I didn't recall this material in detail. Well, I couldn't be happier with what I read. Clever dialogue. Clearly defined characters (at least to me). Interesting structure. And, when I did a word count, I discovered I had something like 53,000 words. I'd made the NaNoWriMo word goal. Why, I was nearly done. No, I was not. All I had were some scenes. I had a situation. Barely. Those 53,000 words were not remotely like a novel. In 2,000 to 10,000 How to Write Faster, Write Better, and Write More of What You Love, Rachel Aaron says that an important element in writing faster (which is what you have to do during National Novel Writing Month) is knowing what you're going to write before you get started. I clearly entered that first NaNoWriMo attempt with just some ideas about a couple of women saying funny things at church. I had not prepared myself with a story. I did not know what I was going to write before I got started. I won't say that that first NaNoWriMo effort was a waste of time. Very little in life is a true waste. What I will say is that I made very poor use of my time in November, 2004. Next Week: What I should have done, and what I'm trying to do now. I was doing some research on Stephen Leacock (you'll be hearing about this latter, don't worry) when I stumbled upon the news that author Susan Juby won the 2016 Leacock Medal for humor (or, as I should say since this is a Canadian award, humour) writing. Juby is the author of Home to Woefield, Getting the Girl, and Alice, I Think. Those last two books are YA or YA-ish. 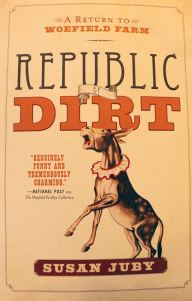 She won the Leacock Medal for her new book, Republic of Dirt, an adult book. It appears to be a follow-up to Home to Woefield, so I must read it. But How Does Art Make You Feel? This book is structured like a child's report on Renoir and makes very good use of page layout--Renoir's artwork, text that is supposed to be the student's text, and her personal comments. While her report tone is enthusiastic, it is pretty much the familiar French Impressionist story. What makes Paintings That Smile unique is those personal comments, in which the narrator often describes her responses to Renoir's art. For instance, on the cover of her book of piano music is a Renoir portrait of two girls seated at a piano. "They look like they are having such a good time...in lots of his paintings people are smiling and having fun. That's why I picked Renoir for my report. His paintings make me smile." She likes the dress in one of his paintings, the dog in another. She wonders what a woman is doing with her hands in still another. She has opinions about Renoir's children, who served as models in some of his work. My personal favorite of our young report writer's responses? "Those black eyes look weird to me." What I think this book does is show people that art can be enjoyed on a very personal level, related only to them. They don't have to be concerned about whether their responses are right or wrong or falling in line with those of anyone else. It's not so much that it shows child readers how to enjoy art. It's more as if it gives them permission to enjoy it. Next Thursday, November 10, the 2016 Raab Associates Prize will be announced at an event at the University of Connecticut's Dodd Center from 4:00 to 6:00 PM. 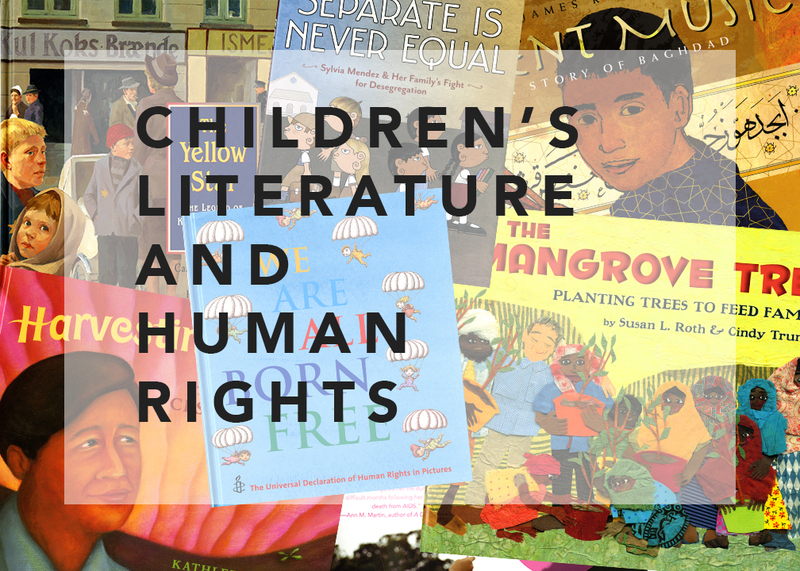 The program will include a discussion of "Human Rights, Children's Literature, and the Art of Youth Activism." Professor Jonathan Todres ( Children's Literature and Human Rights: Imagination and the Narrative of Law, Oxford University Press, 2016), Pegi Deitz Shea (Abe in Arms, PM Press, 2010, and The Whispering Cloth: A Refugee's Story, Boyds Mills Press, 1996), and Reven Smith (spoken word poet, musician, writer, social activist, and UConn student) will be featured. For the first time this year, the prize has focused on human rights, particularly children's rights. Since 1999 the Raab Associates Prize has been given annually to a UConn student enrolled in the School of Fine Arts' illustration courses and provides him or her with an opportunity to learn about illustrating for children and children's literature. 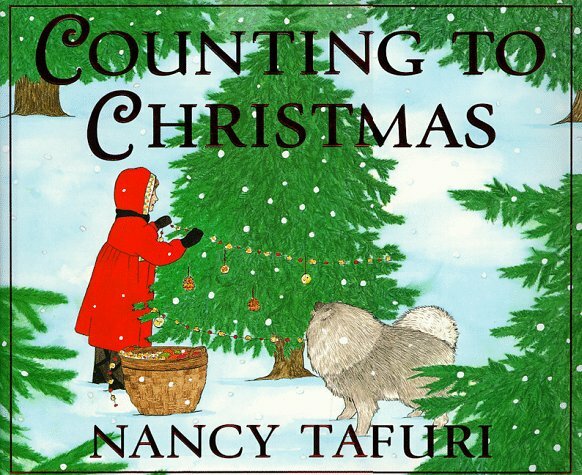 Susan Salzman Raab, a 1980 UConn graduate and the founder and co-owner of the children's book marketing agency Raab Associates, created and sponsored the competition. Goal 1. Adhere to Goals and Objectives. This was a difficult week. I ended up with an extra day of elder care, and I'm volunteering tomorrow at the New England International Chinese Martial Arts Championships so I'm spending some time today prepping for that. But one of the things you try to do with time management and stick to goals and objectives with whatever time you do have. Goal 2. Prepare Mummy Hunters for Submission. Except for spellcheck and word count, I finished the revision on Monday. I actually made a submission that day (editor only wanted three chapters) and am prepping for another sub that needs to be the whole manuscript. Goal 3. Generate New Short Work/Programs. I did a little bit of market research for completed short work. Which doesn't really relate to this goal, but I don't have a goal it does relate to and I want to reward myself. Goal 6. Generate New Work. NaNoWriMo. I read over the work I did for NaNoWriMo in 2004. I'll have something to say about that on Tuesday. I will say now that I lost Day 2 when I needed to take over elder care for a sick family member who couldn't go. I bring this up because it supports last Tuesday's TMT post on NaNoWriMo and the What-the-Hell Effect. On Day 2 I was already behind. Day 3, today, was a day I wasn't going to be able to work, anyway, because of my own elder care work. It's November 3, and I'm already behind. What's the point of going on? Well, the point is to get some work done on this project, not to do well on NaNoWriMo. So I'll keep moving on. Arts Center East in Vernon, Connecticut just completed a month-long exhibit Creating a Children's Picture Book that ended this past weekend with a panel discussion Publishing Children's Books: Connect! 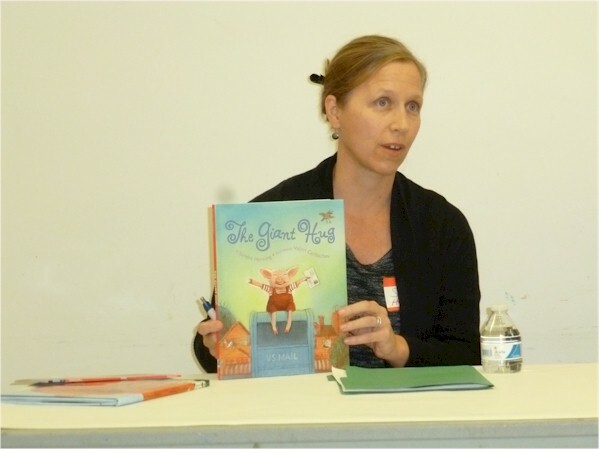 Three published picture book authors and one illustrator described their experience getting published and offered suggestions for writers working to break in to the field. Bill Thomson, creator/illustrator of Chalk and Fossil: Bill has done advertising and editorial illustration and is a professor of illustration at the University of Hartford. He advised listeners to accept that they can't control everything that happens or when it happens. They can't let themselves become frustrated because things aren't happening on their schedule. I found this thought somewhat Zenny, so it was right up my alley. 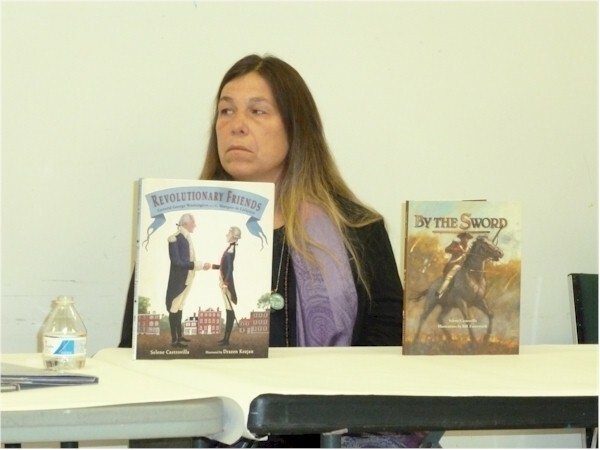 Selene Castrovilla, author of Revolutionary Friends and By the Sword: Selene's picture books (she also writes YA) are historical nonfiction. She started writing about history because she was always seeing the same things in history books. She wants kids to know that history doesn't have to be boring. 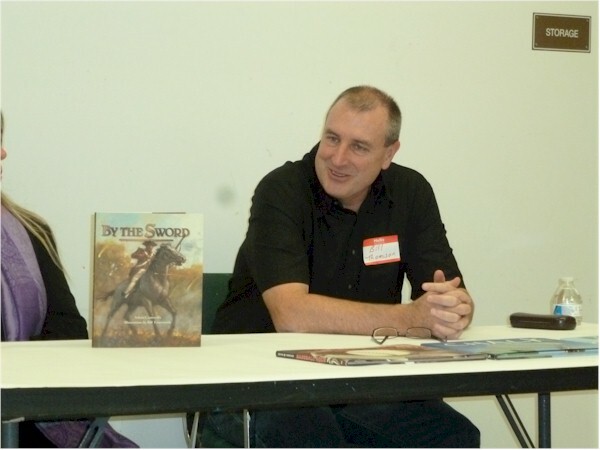 "The most important thing about writing history is knowing what to leave out." Not a Zenny thought (or is it? ), but one I like. Pegi Deitz Shea, author of The Whispering Cloth, Noah Webster, and Tangled Threads: Pegi traveled as a child and was interested in Vietnam during that conflict. That interest continued as an adult, leading to some of her picture books. "If you can provide a twist to a concept" (such as board books or counting books), " you can do a whole new book." 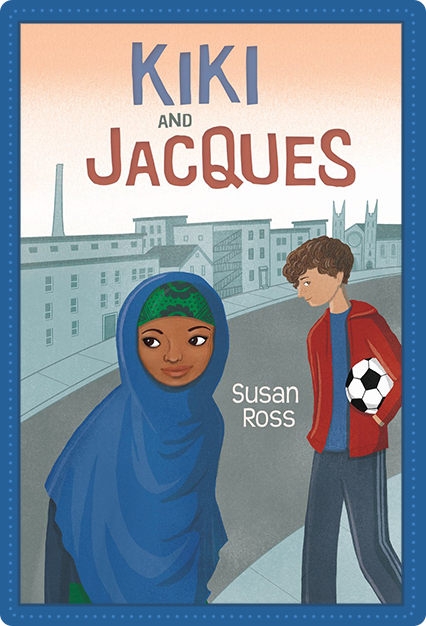 She also pointed out that even picture books need a beginning, middle, and end, a character, and a conflict or challenge for that character. So true, so true. Sandra Horning, author of The Biggest Pumpkin and The Giant Hug: Sandra has a sister who is fifteen years younger than she is. Sandra connected with her by reading her children's books. She didn't study writing or children's literature in college, but she did do a sociology paper on gender evolution in The Berenstain Bears, because her sister was into them. That is a fantastic story. 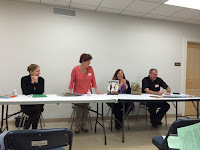 The panelists also covered the benefits of the Society of Children's Book Writers and Illustrators, working with large vs. small publishers, and word count--a topic that's almost always on the table when picture books are being discussed. 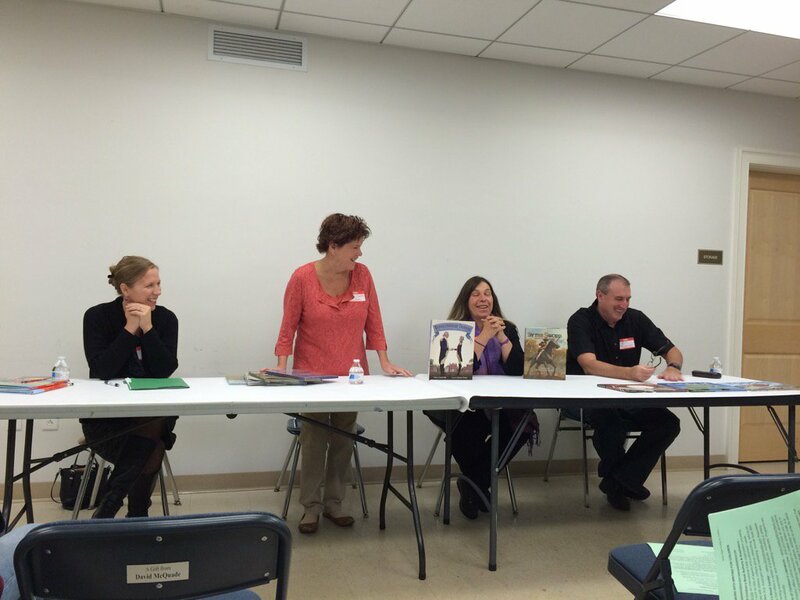 Additionally, these authors provided some of the best handouts I've ever seen at a how-to writer event. And, finally, Jack and Allie's Children's Bookstore provided a book sale. 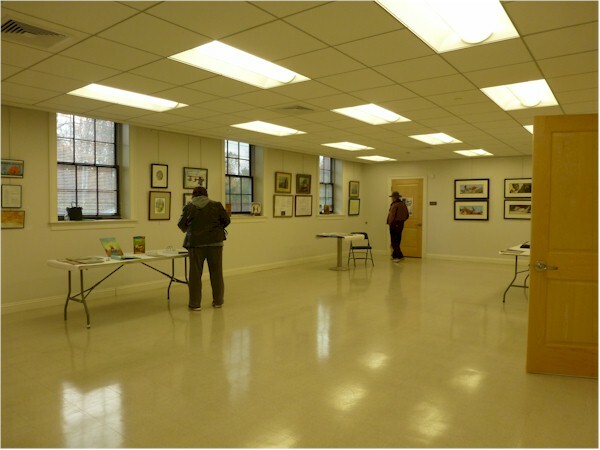 I heard rumblings earlier this year that Arts Center East might do a similar event in the future. Today is the first day of National Novel Writing Month, which I had hoped to take part in this year for the first time since 2004. ( I had remarkably little to say about the experience here. So unlike me.) However, because I did a second revision of the mummy book, I didn't have time to prepare. 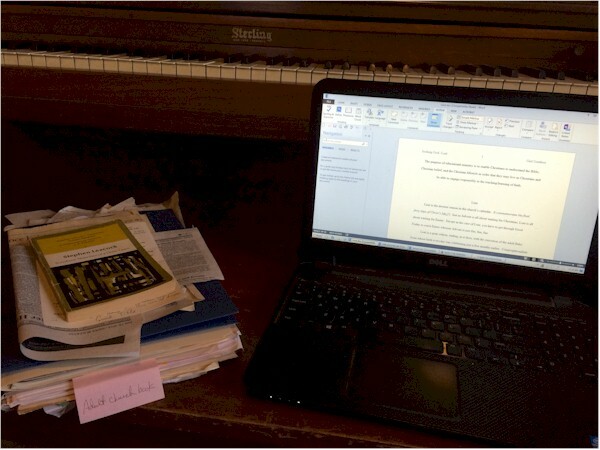 National Novel Writing Month involves writing a 50,000 word draft in one month. It's extremely difficult to do without preparation. I'm a supporter of what I call Set Aside Time, a time scheduled for a specific task. For writers, this might be intensive writing, a binge, you might say. That's what National Novel Writing Month is about. I've heard of even established writers, people who write regularly all year round, taking part in NaNoWriMo in order to jump start new projects. One suggestion I'd make for anyone taking part in National Novel Writing Month is to not let that 50,000 word count requirement work against you. 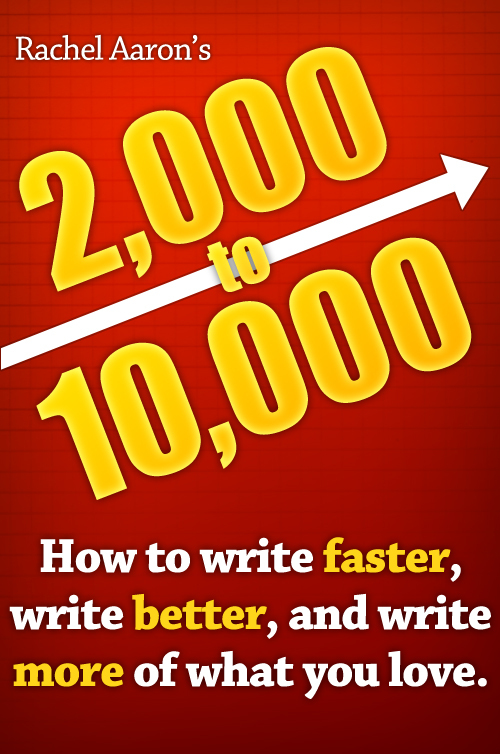 If you're going to make it to 50,000 words in one month, you need to write in the area of 1,666 words a day, every day. Weekends. Thanksgiving. The whole thing. That daily average doesn't sound like much? If you don't make it a few days, the average you have to make for the rest of the month grows larger. And larger and larger. That can become grim. Remember, willpower failures are most likely to occur when we experience setbacks and feel bad about them. If you start missing your daily goals by week three, or week two, or the end of week one and feel you now have no hope of making your 50,000 word month goal, don't let yourself feel bad about it. You run the risk of giving in to the What-the-Hell-Effect. What the Hell? I'm not going to make it, anyway. There's no hope. I'll just quit. If you just quit, yeah, there's no hope that you'll make the 50,000 words. Keep going, and who knows? You might experience a couple of really good days and get back on track. More importantly, though, is that if you don't quit, you may finish the month with 30,000 words on a new project. Or 20,000 words. Or 10,000. You could finish the month with any kind of start on a manuscript, material you wouldn't have if you hadn't kept working. Sure, if you don't make the 50,000 word goal, you won't get whatever badge or reward the NaNoWriMo folks give out. (I really don't know what they do.) But is the point of your involvement with National Novel Writing Month to get the NaNoWriMo treat? Or is it to write? Because if it's to write, any writing you do is valuable. I'm not doing National Novel Writing Month in the traditional sense. What I am going to do, though, is the prep work I should have done before this month. What I'm hoping to have by the end of November is not a completed draft, but the prep work so that I can write a draft in the future. That will be a whole lot more than what I've got on this project now.